Mobile vs Desktop. Is one better than the other? 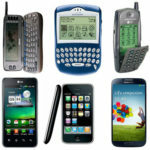 It’s no secret that desktops and mobiles rule consumers’ online experience, but when are these devices most prevalent? In a recent study done by Chitika, peak times are examined for mobile vs. desktop usage in the US and Canada. 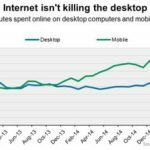 The common belief is that mobile and smartphones will soon be overtaking desktops as more and more users are turning to mobile to do their online searches, but that is not true. 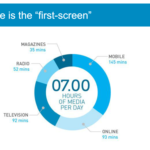 What could be driving consumers to turn to one device over the other is the time of day. It seems that mobile and desktop don’t cancel each other out, they complement one another! Mobile peaks during the commuting hours before work and the leisure hours after work whereas desktop rules the work days. This could be beneficial knowledge for marketers when running their online campaigns. What product are you trying to sell? 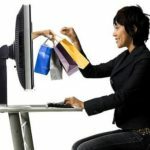 Would a consumer be most receptive to it during leisure or business hours? This knowledge could fuel your ads and where you choose to display them. Is couponing effective on Mobile? Kiri Tamte-Horan is the Director of Digital Operations at Vici, and oversees the stellar Philadelphia Operations team through the development, implementation, and reporting of all digital campaigns. Kiri has managed hundreds of campaigns spanning Display, Video, and Social platforms, and has generated countless calls and conversions for clients across the country. Kiri is certified in Google Tag Manager and Acquisio, as well as Google AdWords Fundamentals and Display Advertising. Additionally, Kiri has a certification from Disney Institute’s Leadership Excellence. Kiri was the campaign manager for an award winning Digital Campaign as awarded by the Maryland Tourism Council in 2015. Is IP Targeting Digital Ads Right For My Business? Who Is Your Social Media Audience? Chrome moves on without Flash. Finally. What are college kids doing on Friday and Saturday nights? Snapchatting.